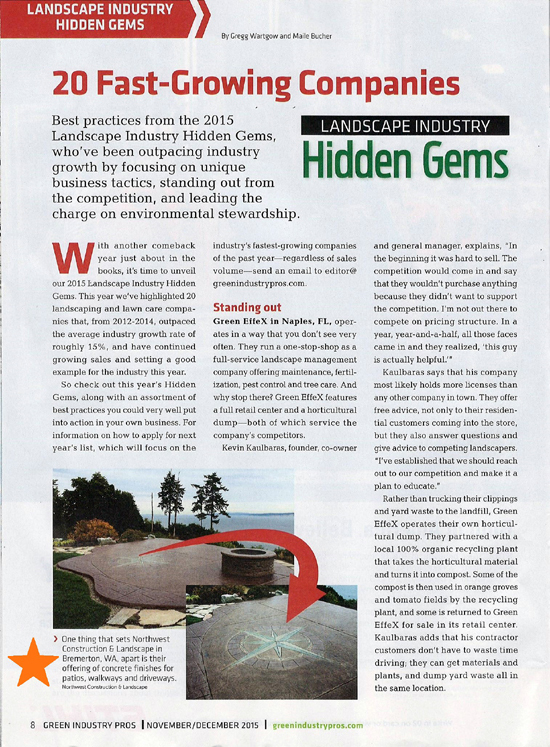 National landscaping industry publication Green Industry Pros recently featured us as a “Landscape Industry Hidden Gem” for 2015. See the cover below. Only 20 companies throughout the nation made the list for “outpacing industry growth by focusing on unique business tactics, standing out from the competition, and leading the charge on environmental stewardship.” This is an incredible distinction and we’re honored to be included among these notable companies in our industry! 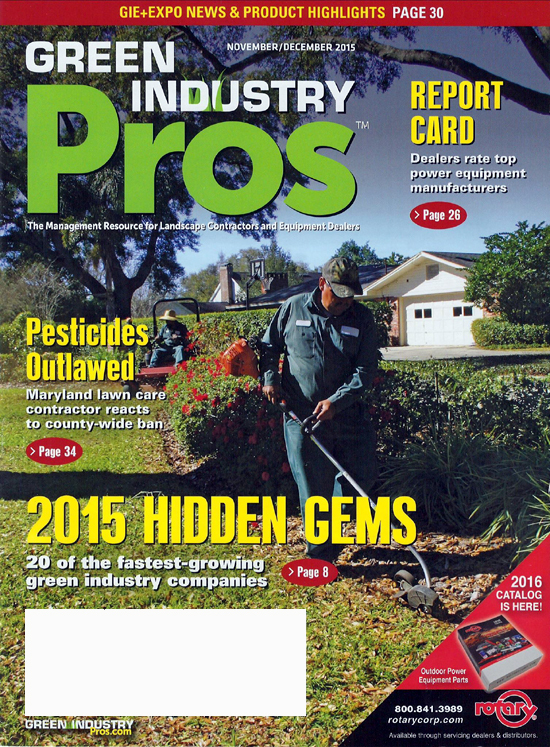 Green Industry Pros is a reputable magazine that “keeps landscape contractors and equipment dealers on top of the latest products, trends and business strategies to help grow their companies.” Available in both in print and online, it features current news relevant to landscaping, up-to-date product reviews and draws attention to new rules and regulations that may affect the industry. 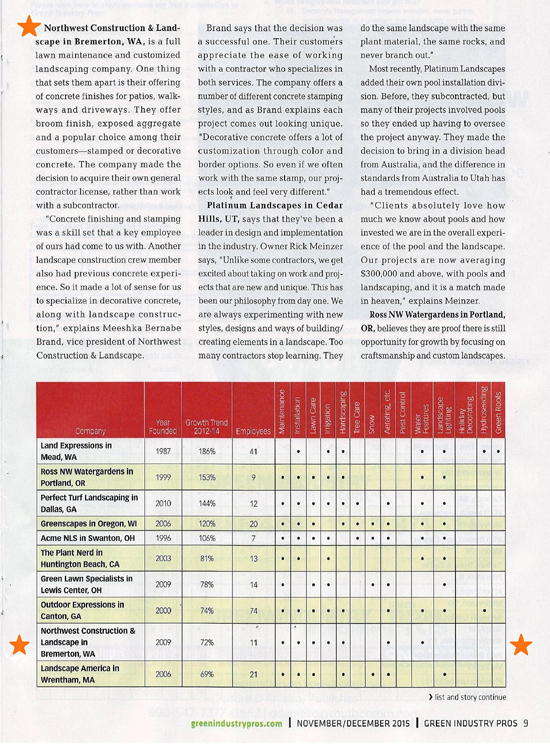 We’ve been reading this magazine since the inception of our business in 2009, so it’s with great pride that we announce that they recognized us as a Hidden Gem!